BSkyB Region North needed a venue to launch its Sky Anytime+ product that was easily accessible for delegates coming from out of town. 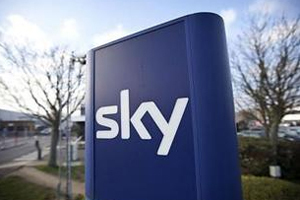 BSkyB Region North needed a venue to launch its Sky Anytime+ product that was easy to get to for delegates coming from out of town and offered ample car parking space. Team manager Richard Dunn decided on The Village Hotel in Hull, as the company has been holding meetings and conferences there for four years and has been consistently impressed with the facilities available and the attitude of staff. "They are very friendly and helpful and the bars and restaurants are better than you would expect for this type of venue," says Dunn. It was snowing at the time and some people decided to drive up the day before. "A couple of delegates turned up the evening before the meeting and they were looked after amazingly well," says Dunn. BSkyB held a staff briefing at the hotel in the morning and afterwards delegates enjoyed a buffet lunch in the Verve Grill, before a further briefing in the afternoon. The Village Hotel has six meeting rooms for up to 200 delegates, all offering natural daylight, air-conditioning and with views across the Humber Estuary. BSkyB will definitely use the hotel again, says Dunn, who has already confirmed two bookings for future events. "Communication preand post-meeting is very good," he says. "You'll always get a phone call rather than an impersonal email. The little touches go a long way."